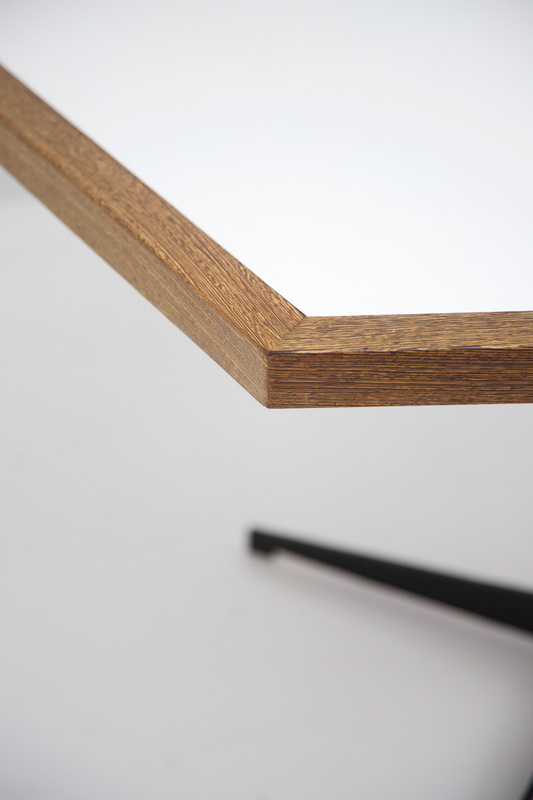 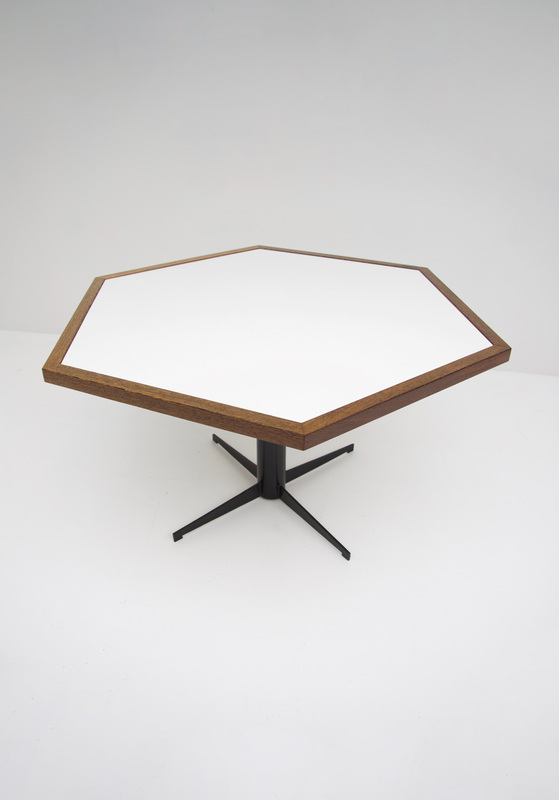 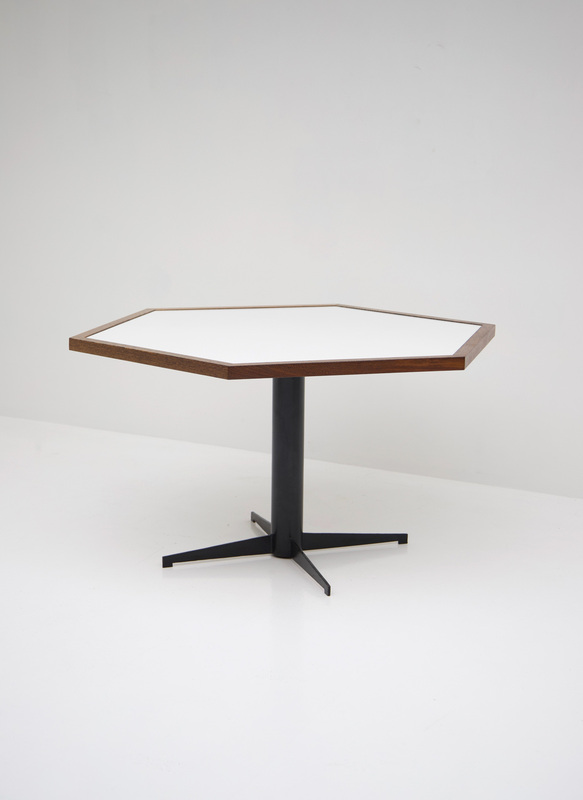 Decorative and rare dining table designed by Martin Visser for t Spectrum in the 60s. 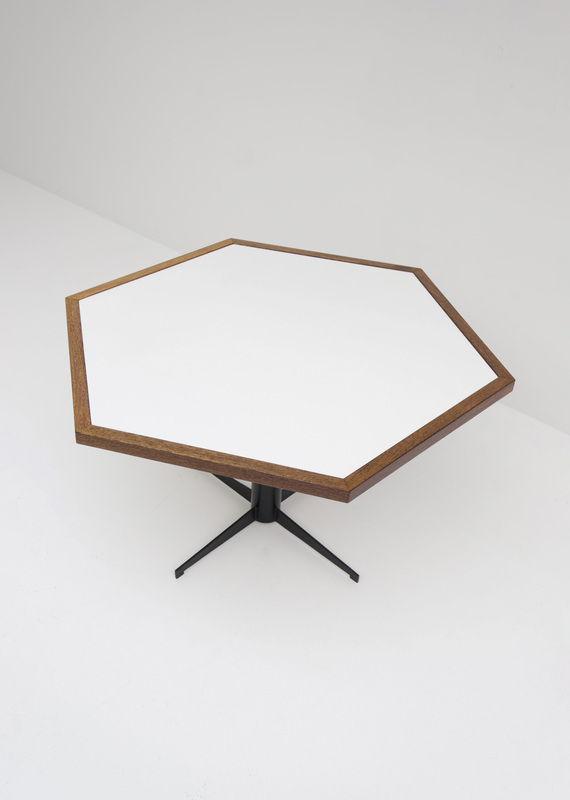 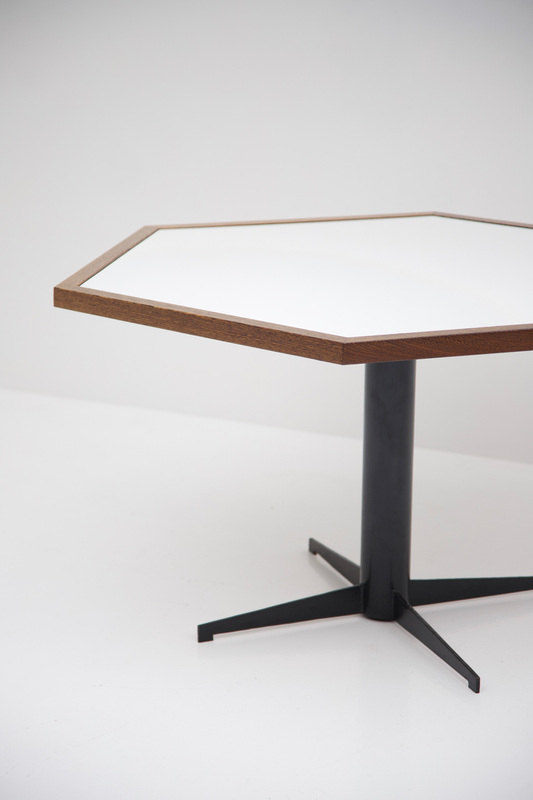 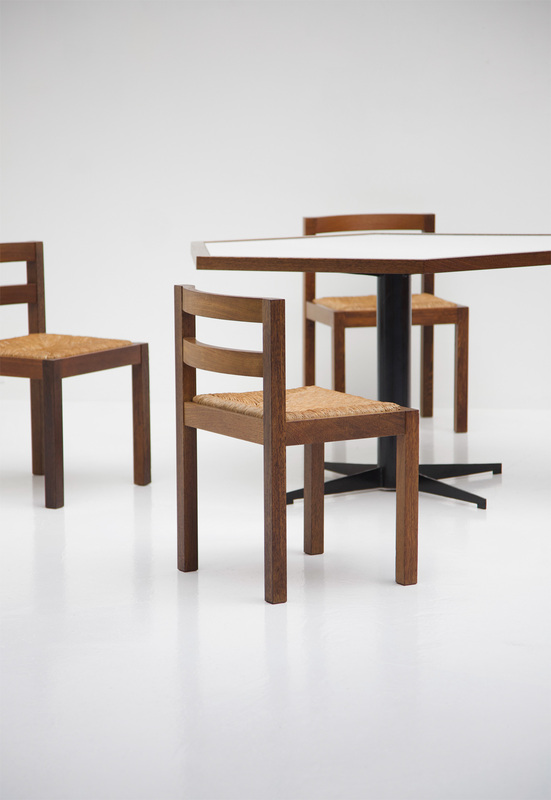 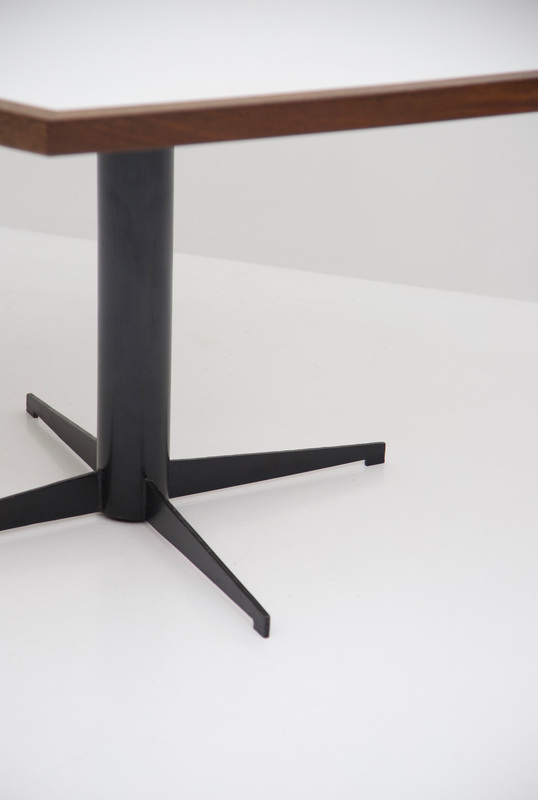 It features a black metal cross base and a hexagon-shaped top made of white-laminated formica. 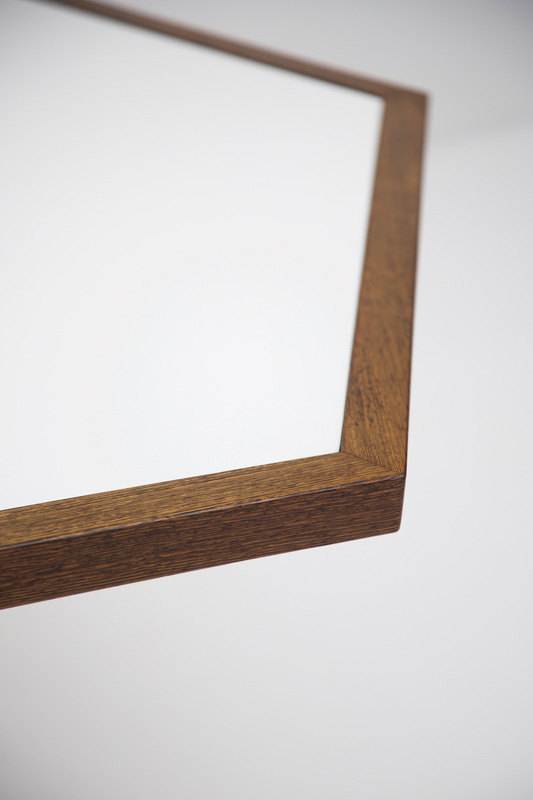 The edges are solid wenge. 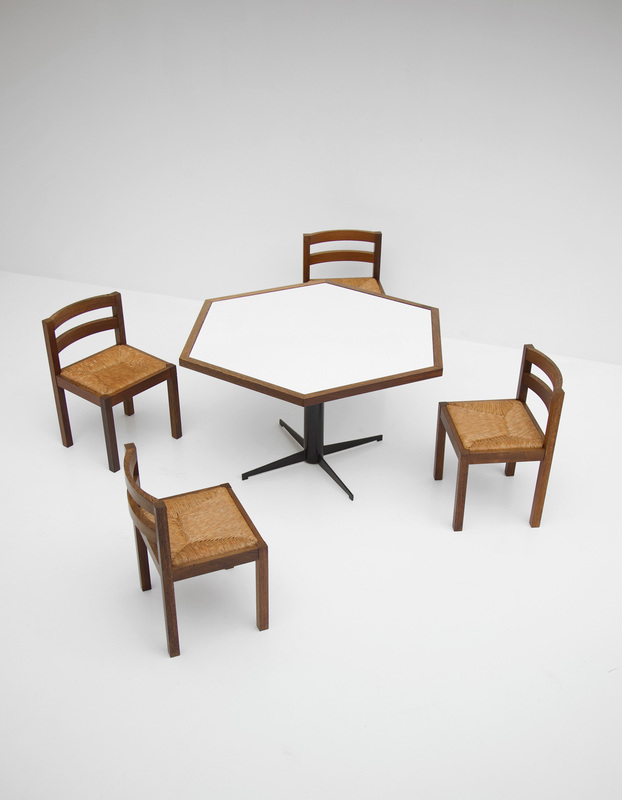 In good original clean condition.